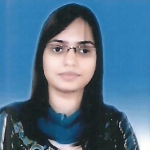 Ms. Ritu Singh (Assistant Professor, Department of Pharmaceutical Chemistry) was conferred with Best Research Award, for her studies entitled ‘Microbial participation in degradation pattern of chemically modified polyvinyl chloride (PVC)’ in National Conference on Recent Trends in Environmental Science and Carbon Management (RTCM-2015), held on 19-20 November 2015 at Central University of Himachal Pradesh, Kangra. 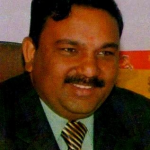 Dr. Sanjay Kumar Agarwal (Controller of Examinations) was appointed as Judge for Regional Level Science Competition for North Zone which was organized by Central Board of Secondary Education (CBSE) Govt. of India on 11-12 December, 2015.